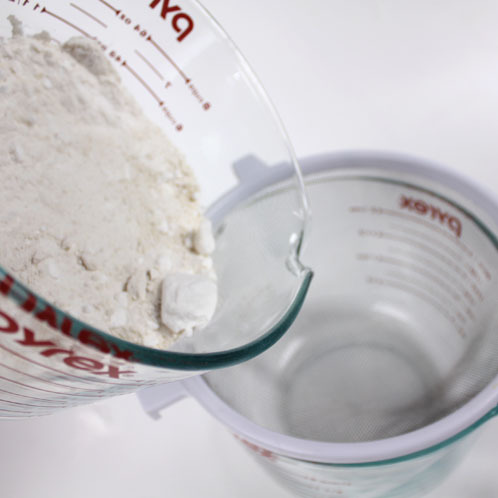 ONE: Measure out the Citric Acid, Baking Soda and Kaolin Clay into a large bowl. 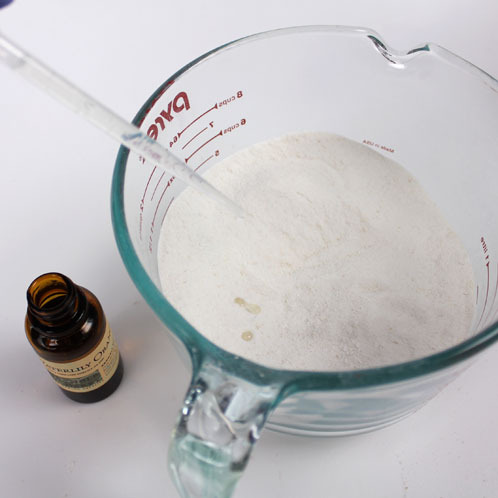 NOTE: Citric Acid and even Baking Soda can tickle your nose, so if you’re sensitive you might want to wear a mask for this project. FOUR: Melt and add the Deodorized Cocoa Butter. Mix in well, making sure there are no clumps. 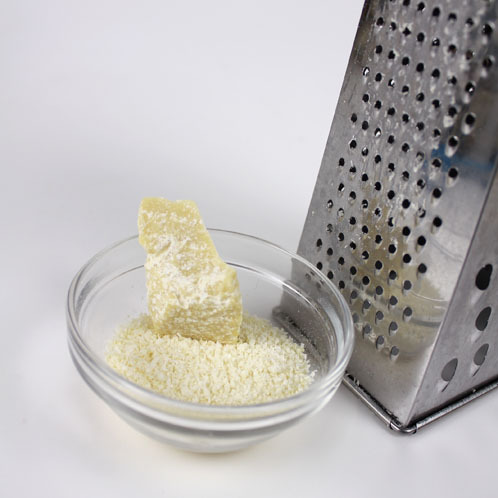 TIP: Using the fine edge of a cheese grater to shave off enough Cocoa Butter for this project will make melting a snap! 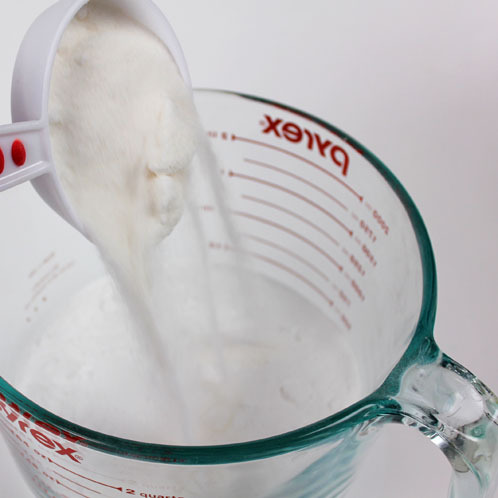 SIX: Grab the empty bowl from earlier and split the mixture into two about-equal parts (you can totally eyeball it!). 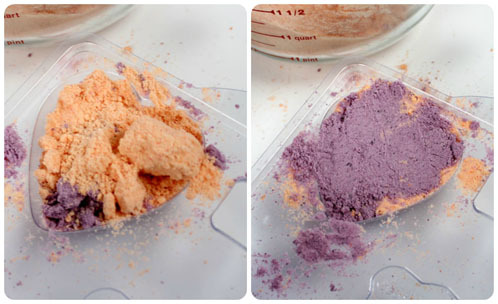 Color one half with 5-10 drops of Cantaloupe LaBomb Colorant, and the other half with 5-10 drops of Gurlie Pink LaBomb Colorant. 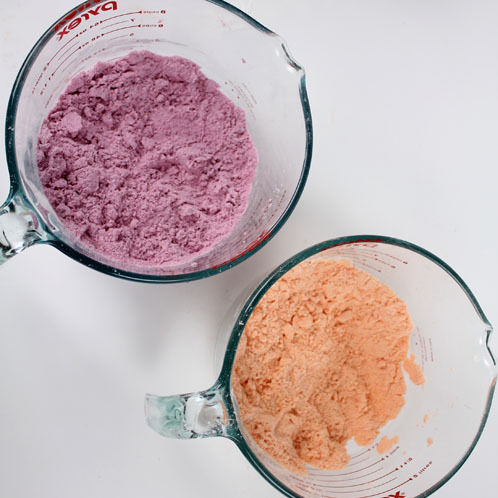 Mix the colorants in until there are no more clumps. 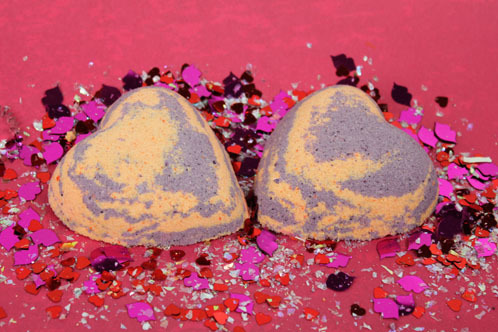 NOTE: What you see is what you get with Bath Bomb colorants, so if you’d like a brighter color, add more LaBomb colorant until you’re happy. 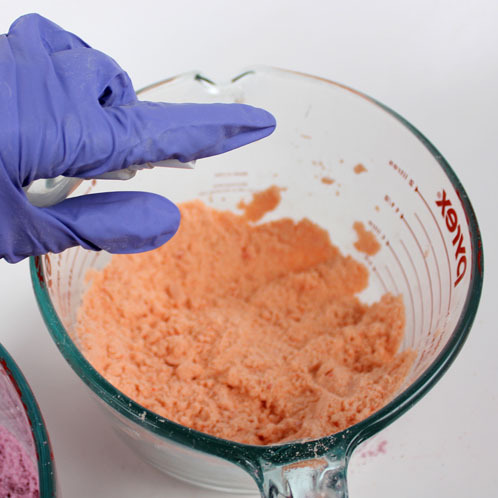 Keep in mind, though, that the more colorant you use, the more likely the colorant will color the bathwater when the fizzy is used. My son happens to love it when that happens! Click here to read more about LaBomb colorant usage rates to get that perfect color. TEN: Allow the bath bombs to sit overnight and harden. Use right away as an indulgent treat, or wrap ’em up for your favorite Valentine! just a random question, but when i add all the ingredients to my cart, it equals about $50. how many fizzies will i get put of that? I am making some bath fizzies and they are “rising” like one would expect a cake to. It has been about 30 minutes and they are still so damp they will not come out of the mold (too much witch hazel?). The mixture “clumped” but broke apart easily with my thumb before I put it in the mold. This has worked nicely with previous batches. I am using Mahogany Spice FO with cornflower blue LaBomb colorant in the stacked star mold. Suggestions, questions and ideas are most welcome! The witch hazel is not from BB, the alcohol is 14% by volume. Our humidity levels are very low, often in the single digits in winter and probably not higher than 35%, and when Anne-Marie talks about how much she uses there in Washington state, I can count on using almost double what she does. I did appreciate it when she mentioned that fact in one of her tutorials. Thanks so much for the info on how to save a batch that didn’t turn out as expected! Thanks to this tutorial, I just made my first bath bombs!! I didn’t use colorants or clay, but I used some pink and black lava salts in the mold. I used the 12 cavity round silicone mold for this and got 6 bombs. I’ve conquered something new and I can’t wait to make more. Thank you! That sounds absolutely delightful and we can’t wait to hear more about your soaping adventures. 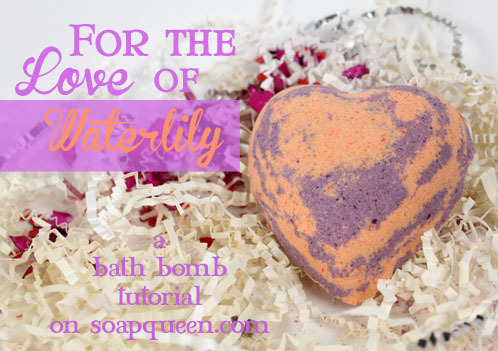 If you were able to get any pictures of your fun little bath bombs, we’d love to see them. You can share them with us on Bramble Berry’s Facebook page.